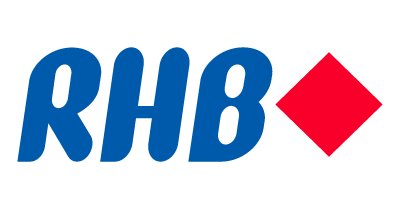 RHB Bank Berhad (also known as Rashid Hussein Bank) is a bank based in Kuala Lumpur, Malaysia. It specializes in commercial, corporate, investment and international banking services. The bank is a part of a financial conglomerate RHB Capital Berhad. It was established after a merger of Kwong Yik Bank and DCB Bank (Development and Commercial Bank, also known as D & C Bank) on July 1, 1997, and then with Sime Bank and Bank Utama. Currently, it is the third largest bank in Malaysia, with more than 200 branches across the region. The bank was also awarded as “”Best Domestic Bank”” by both the Finance Asia and Euromoney in 1997. RHB Bank	Overall rating:	0	out of 5 based on 0	reviews.